A variant of the M1944 with a modified suspension system, developed further into the M1956. 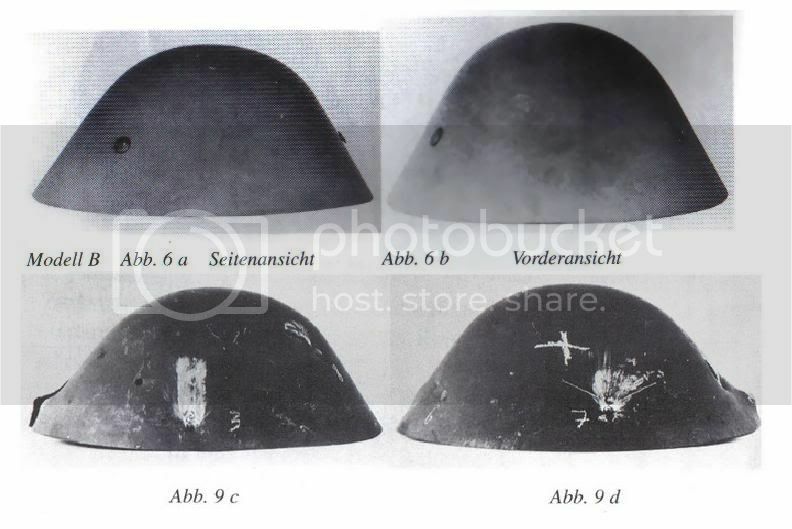 The East German M-56 helmet was originally designed in 1942 as a replacement for the M1935/M1940 model Stahlhelms. 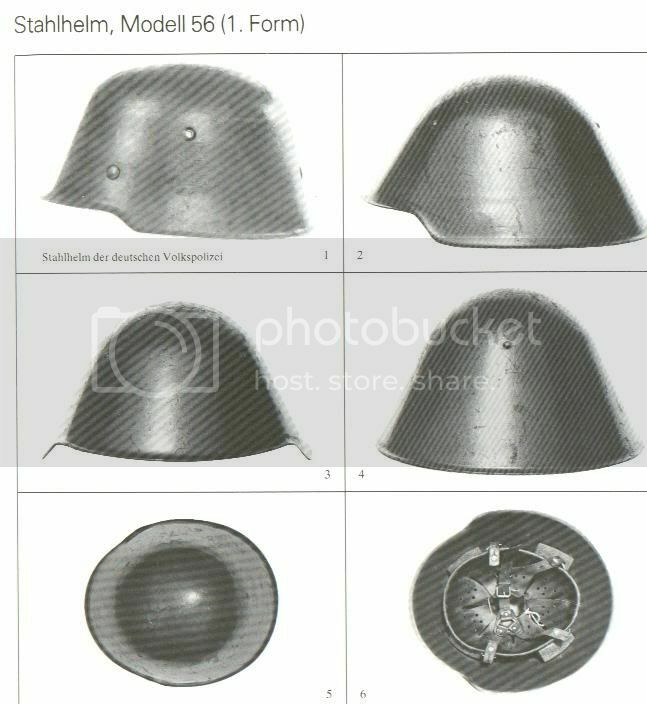 The design was never progressed and was unused until the requirement for a new German helmet for the Volkspolizei and the National People's Army arose, it being realized that the reintroduction of the Stahlhelm would not have been tolerated by the Soviet Union.It came in three basic versions, Mod 1 or I/56, Mod 2 or I/57 and Mod 3 or I/71, and was widely sold (or given) to Third World armies." 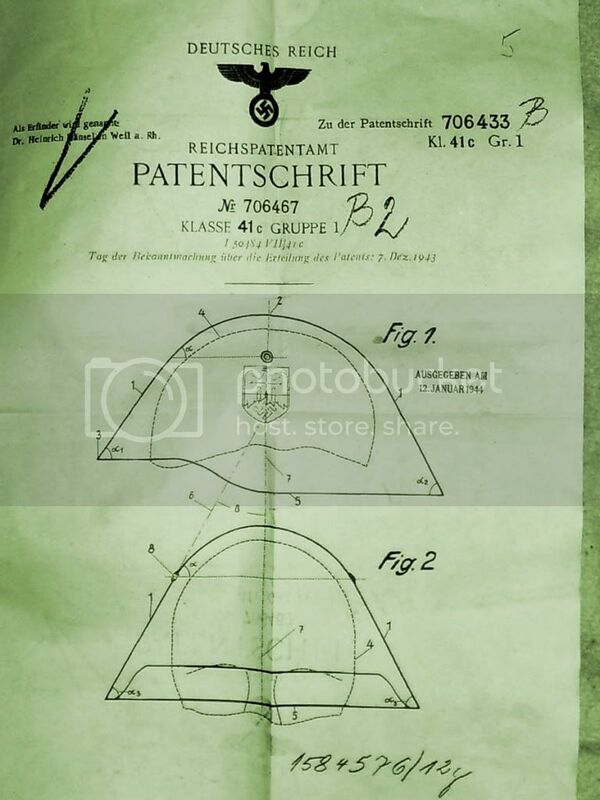 Although Adolf Hitler had already forbidden the new development of a steel helmet, became due to a memorandum of the army medical inspection, in which to the increasing number of head injuries and other lack of the past German helmet model one referred, in the year 1942 of the office for army weapon - by avoidance the arms Ministry - which approves development. The work was accomplished in the chemical-technical institute for realm by Institut for military engineering materials technology Berlin (leader Professor Dr. - engineers Fry and specialist Dr. Hänsel). Into closer testing four models came: „A “= an easily changed helmet 35, „B “, „B/II “and „C “. The experienced manufacturer of steel helmets, the iron and metallurgical plants AG Thale/resin, which had been assigned the production of the experimental models, submitted additionally „the proposal on its part from Thale “, which was developed as alteration of the model „B “under line of upper engineer Erich Kisan. With the bombardment and troop tests the two proved „“- models to B as the best. The results were summarized in a memorandum and submitted in the autumn 1944 leader headquarters. Despite the positive evaluation of the helmets as well as large savings on material and work time it leaned the introduction of a new helmet model off obviously for logistic reasons and for reasons of the tradition. Later these new helmet models were introduced to the GDR. 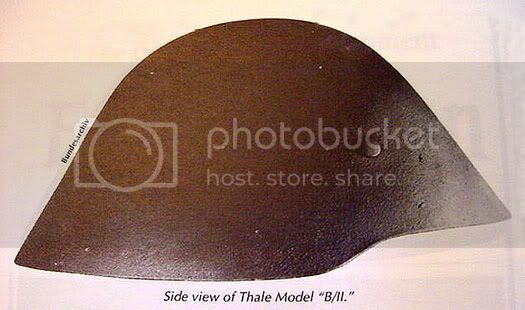 There were of it two remarks: on the one hand that quite well-known, until 1990 in the NVA used steel helmet M56 and a nearly identically constructed, but steel helmet flattened on the top side as with earlier models of the armed forces, which was produced after the war as M54 in small number of items and spent at units of the KVP. 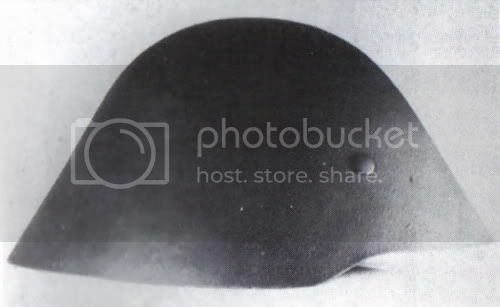 The new steel helmet M56 (equipment 604 in the internal correspondence) had still another characteristic: Since it was away by its form far from the head, the danger of neck eddy injuries existed for the soldier, if it (e.g. with the leap into a ditch) got stuck somewhere with the edge. This danger was reduced, as the fodder in such a case from the bell was pulled out and at the head remained, while the helmet was separated. The helmet or the fodder was not damaged thereby, but could be built up again."